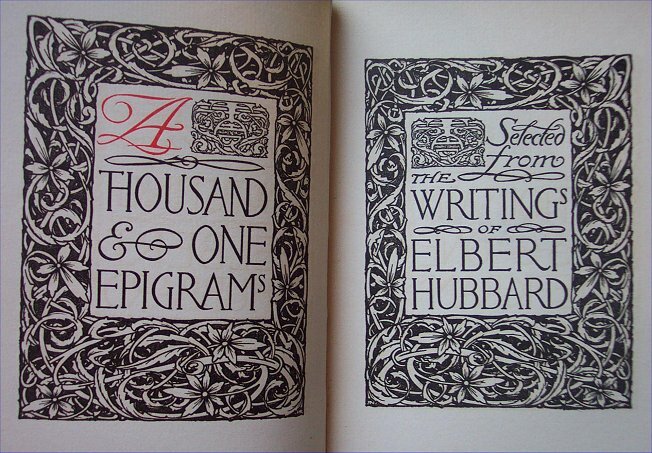 This book measures 6 1/4" x 4 1/2" and has 186 pages. 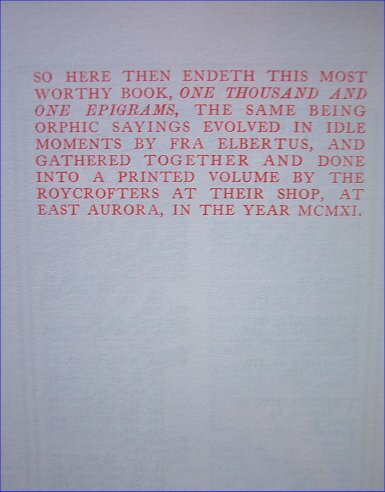 The body of the text is set in Scotch Roman and it was printed in two colors on Roycroft watermarked paper. The book above was bound in 3/4 Levant. 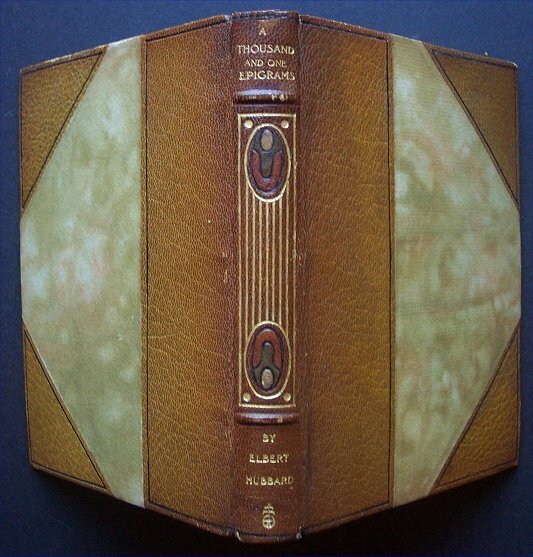 The binding variants are paper over boards, 3/4 Levant, modeled leather, and full leather. 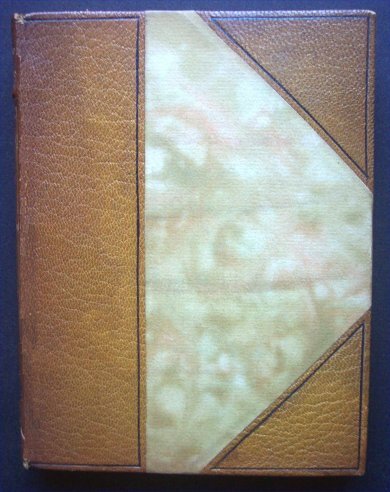 Note the use of inlaid leather on the spine of this particular volume.